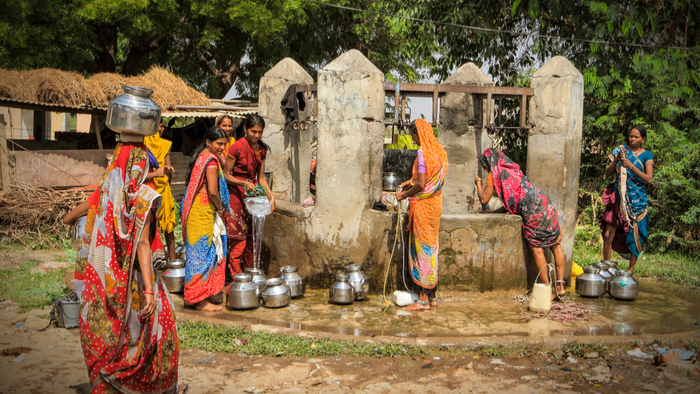 • This post from the India Development Review examines the Swachh Bharat Mission (SBM), which is trying to end open defecation in India through affordable toilet construction. One research project showed how context and a more localized approach is essential to SBM’s success. • What can we learn from the findings of this research? One main takeaway is that engaging with a community on implementation (not just awareness) is key to any major undertaking. • Read more about the dichotomy of WASH Service: financial viability vs. user affordability. Read the full article about the Swachh Bharat Mission by Dr Annapoorna Ravichander and Varsha Pillai at India Development Review (via WASHfunders). If you are looking for more articles and resources for Civil Society, take a look at these Giving Compass selections related to impact giving and Civil Society. Giving Compass' Take: • Srik Gopal describes how the bipartisan Democracy Fund grew in the wake of the 2016 election, offering advice for funders looking to improve their long-term strategy in response to moments of change. • How can funders help organizations make the shifts they need to be effective? • Learn about the crisis of confidence in American democracy. During and after the election, we engaged in a combination of collective angst (“How did we miss this?”) and intentional reflection (“How can we do better?”). We came out of that period of introspection and planning with three clear opportunities for our work that we carried out over the next few months. Ramp up our “system sensing” capabilities. We realized we needed to be much more diligent about putting our “ear to the ground” to understand what was going on with the American electorate. Create an opportunistic, context-responsive funding stream. Our long-term initiatives, while highly strategic, did not leave many discretionary resources for needs that arise in the moment. Hence, with support from our board, we launched a series of special projects—time-limited infusions of resources and support to highly salient, timely issues. Codify our convictions. As a bipartisan organization, we believe that sustainable solutions require broad buy-in, and we strive to incorporate good ideas wherever they originate. However, in the midst of multiple violations of democratic norms in the heat of the 2016 election, we asked, “Does being bipartisan mean being neutral?” In other words, we questioned whether our positioning prevented us from taking a stance. The answer was a resounding no. Read the full article about long-term strategies by Srik Gopal at Stanford Social Innovation Review.